The last issue of Safari – a science and knowledge focused magazine from India – Gujarati edition – for the year 2015 is out quite on time and in fact we got a chance very early this month and were delighted doing same. Here are our personal Views and Reviews about the same. Reputed for its authentic stories and touching many topics (in detail) which are otherwise often neglected or considered as untouchables; Safari keeps doing the same. 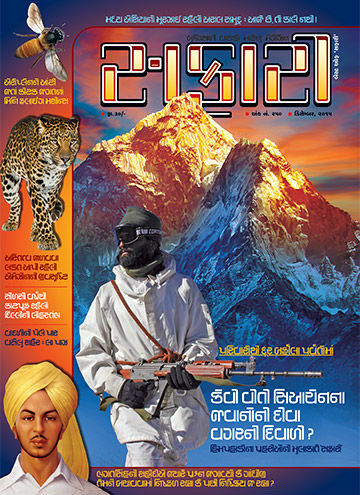 And, in this month you find a very detailed article about Safari team’s visit to Siachen. A small team from Safari (including the editor) got permission to vist Siachen and meet the brave soldiers there who are securing the motherland in extreme conditions. Living there watching snow everywhere, they need keep unloading it from the glass cabin tents even during snowfall, these soldiers keep fighting against the natural challenges which takes troll on body and mind both. It’s their will power and the true love for the motherland which makes them stay there guarding the country. The details about the entire trip is written in interesting manner. A couple of photographs attached with the article as well. The editor effectively wrote about the challenging life of these soldiers and the extreme conditions they live in. The most important thing is the article doesn’t explore any sensitive information. Such kind of self-control is very tough to execute. It is a human nature that when we get exclusive coverage of something very important, we start talking about it and sharing the confidential information about it (knowingly or unintentionally); which can be (and often found actually are) harmful. There are many media coverages which are evident examples of that. The article proves how “Responsible media” should behave. A very nice and not to miss article. Even if only this article was written in the magazine, the magazine is worth to go for. India’s fight for independence was very long. It was not easy to re-gain the control from the British rulers. Often we talk about the leaders of the freedom fight in biased manner, based on the information we have, and our personal point of view. And, due to this, sometime we do injustice to them. We even don’t know many unsung heroes and their sacrifices, (which are sometimes even more important than the known cases) which are responsible for the freedom. Every child, growing up in a responsible family, is taught about the importance of understanding the value of the things we enjoy, and often not consider its worth. And asked to respect it. All the freedom fighter might have different vision to carry forward his/her actions; but had a common goal – the Freedom of the motherland. There were mainly two ideologies followed in the fight, one is the famous “Ahimsa” (often referred as the Gandhiji way) and the other was “the armed response”. It would be wrong to say one way right and the other wrong. We found find people dragging the things into controversies and often talk about the ideological differences between various leaders of the struggle; and often talk about disputes amongst them. Well, their ways might be different but considering their sacrifices lesser, based on our personal agreement with the ideology followed by any of them, is again injustice to him/her. There is one article found in this issue which is very much focused on the India’s struggle for freedom. It talks about the question many people asks “Did Gandhiji failed in saving Shaheed Bhagat Singh or did he not acted with full potential on this issue?”. The article tries exploring the stuff in unbiased manner. It is tough to find balanced articles on such stuffs. The people who are born in free India (or any country) need to explore such articles to understand the value of the environment they live in. The Iron Pillar of Delhi is drawing interest of scientists from all around the world for the exceptional knowledge of blacksmiths of India about Iron and various ingredients which can be mixed into it. It attracts various visitors due to curiosity to watch the pillar’s high resistance to corrosion. 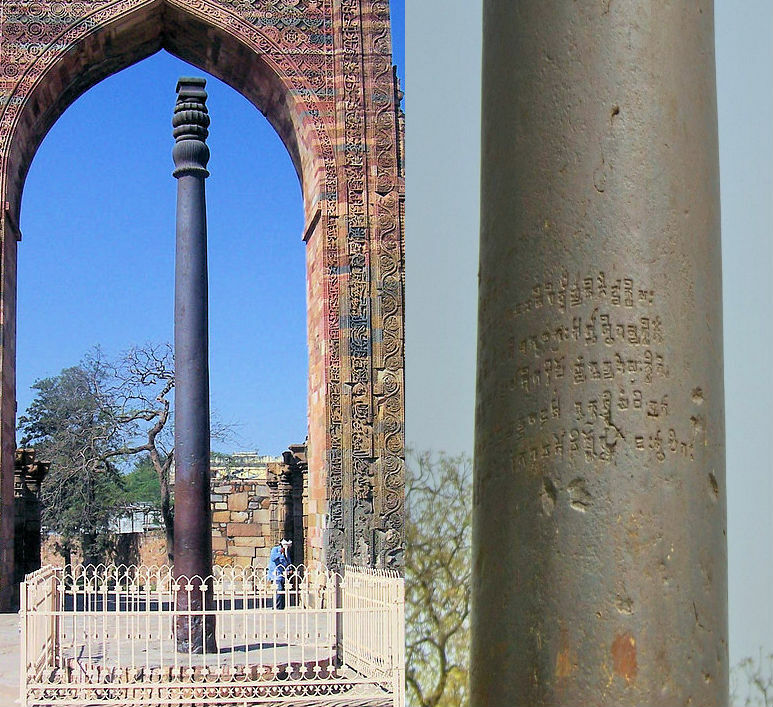 Despite of standing in open since many year, the pillar made from Iron is or otherwise could have been almost broke due to corrosion. The factual details about the science behind it, is represented in interesting manner by the author. The nature is so unique and the proverb “Unity in diversity” is evidently true in its case. The entire food supply chain and inter-dependability of various species on each other makes a fantastic combination. At the same time, if one block of this chain is broken, the entire chain is put at stake! The rainforests of Amazon, are very unique in its own. Some of the species scene there are really unique and exists only there. 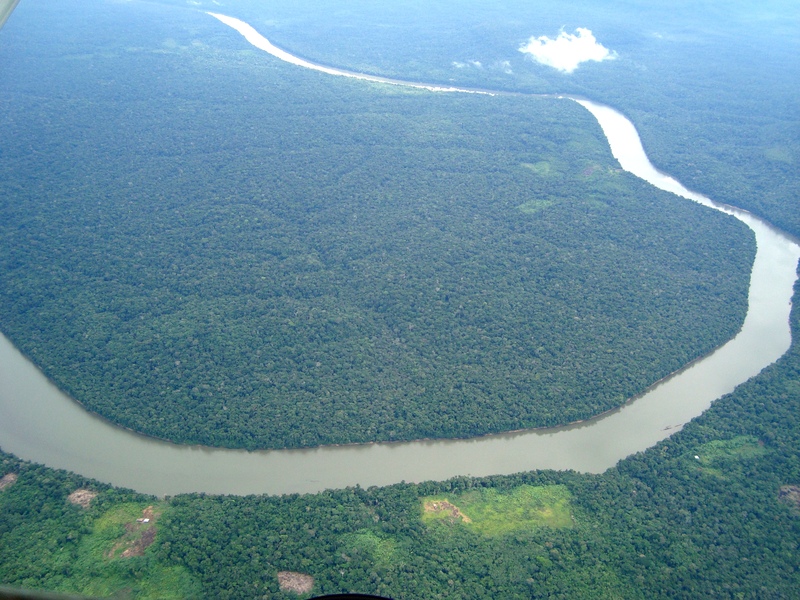 The entire periphery of the dense rainforest of Amazon have 3 invisible yet clearly evident layer of living creatures found in very lengthy trees. If nature amazes you, the article is definitely a good choice for you. La Paz – the capital of Bolivia is naturally fire resistant. It is not a wonder actually. Due to the height at which it is locate, the level of Oxygen in its air is quite low. Which makes it tougher for even small flames to keep ignited. An article about the same makes you think how unique various geographic locations all around the world are! Aral sea, once a full fledged sea, is now almost a desert. This disastrous transition is not a result of any natural calamities though. This transition is a good example of the fact that “How good intentions can result into bad things, if acted upon without thinking long“. Why the surface of some potatoes are somewhat greenish? Why the height of both the legs of a person are not identical? How cheese is prepared from Milk? Can it be considered as non-veg? It is said that the water in the wash basin revolves clockwise in Northern hemisphere of the earth and anti-clockwise in Southern hemisphere, is it true? Why the jackfruit grows on the trunk of the tree? Name the oldest city of the world? How the Carbon paper works? Why the hand of weighing scale remains little unstable even if you stand still on it?